Apple unveiled a new product category – a smartwatch designed to provide consumers with a variety of technology services including comprehensive health and fitness apps to help them lead healthier lives. The activity app measures three separate aspects of movement: calories burned, brisk activity and how often a user stands up during the course of a given day. The workout app allows users to set specific goals for popular session-based workouts, such as running and cycling. And, the companion fitness app on iPhone collects activity data to provide activity history in order to suggest personal foals, reward fitness milestones and motivate users. At the same time, Cook said that Apple Watch “requires the iPhone because it’s been designed to seamlessly work together…This means that over 200 million people already can use Apple Watch. However, Niharika Midha, medical device analyst at GlobalData, argues that the significant dependence of the health and fitness trackers on the iPhone’s Wi-Fi and GPS capabilities in comparison to other vendors is a drawback. For example, Midha said the Samsung Galaxy Gear S has a built-in GPS and can be used to tract activities without the phone. Critics like Greg Caressi, senior vice president of healthcare and life sciences at Frost & Sullivan, makes the case that the consumer base for Apple Watch will likely skew heavily towards those who are relatively healthy and are already tracking their health and fitness. “While the [Apple Watch] will likely expand the user base of wearables beyond the current quantified self-movement to some the ‘worried well’, it won’t likely penetrate many of those who are the highest risk and highest cost as long as it remains a consumer device,” said Caressi. This concept could have a dramatic effect on the general health of this country. Patient compliance is the biggest hurdle I face in practice. It is difficult for people to change their diet and exercise habits. Accurate tracking of not just their exercise but their daily movement would dramatically support improved exercise habits. Please review my blog Sit Less, Protect Your DNA, Live Longer. I am one of those “relatively healthy and are already tracking their health and fitness”. I log my miles on the bike, beach runs, and swimming workouts in Excel. I have established goals for each week and plan endurance events to self-motivate. I wear a heart rate monitor in all my spinning classes. So sure, I will move to this new technology, although I really don’t need it. But this is a great opportunity for the unengaged to start to accurately monitor their physical activity. I disagree that the technology needs to be disease focused. All our major health threats come from metabolic syndrome – central obesity, high blood pressure, insulin resistance, and underactive thyroid metabolism. All these factors are improved with regular exercise, even casual movement. 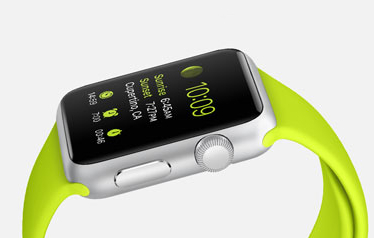 You don’t need to buy an Apple Watch, but start to review this new technology and pick a product that works for you.